I love glitter. But I really love glitter that stays put as with Pink Paislee’s Luxe Glitter Alphabets! Have you ever looked at a pack of letters and see them take on different shapes? Luxe Gold Glitter Alphabets…the O’s and the Q’s to be exact! 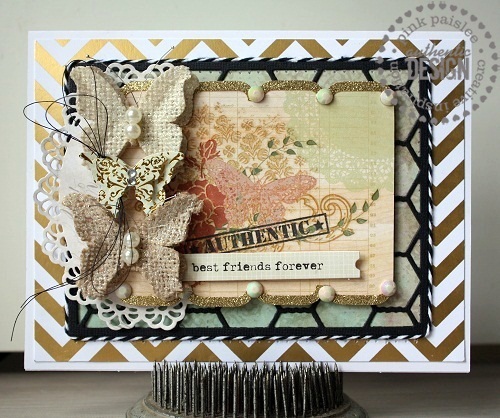 For this card I made a beautiful glittery gold border by cutting the letters in half and then applying them to the edge of the Hope Chest Journal Card. To hide where the pieces join together, I simply added an adhesive rhinestone. just the right amount of pizazz! For the next card I went with a lot more shimmer than glitter. I highlighted the Portfolio Puffy Glitter Alphas on this card, along with the Luxe Heart Placemat that I cut down to size. After determining the size of the placemat, I punched out different patterns of paper from the Secret Crush papers and attached them to the backs of the heart openings. And who said Secret Crush was just for Valentine’s Day? Professing love should be used any day of the year :) I die-cut a banner and then lined up the Puffy Alphabet Stickers on the top. 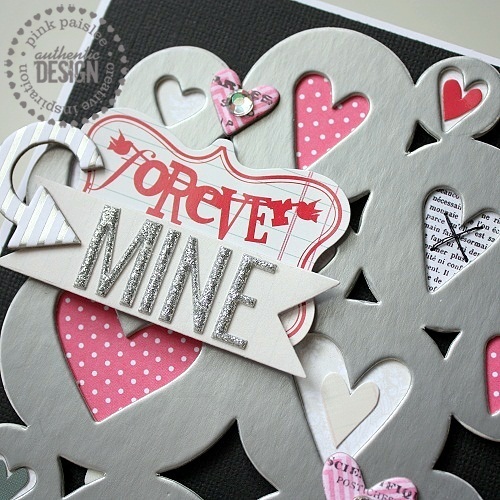 A silvery arrow to the side adds just the shine to complete the card. For a really ‘polished’ look, I sanded around the edges of the placement…this also helped to hide the areas where the chipboard was cut apart. 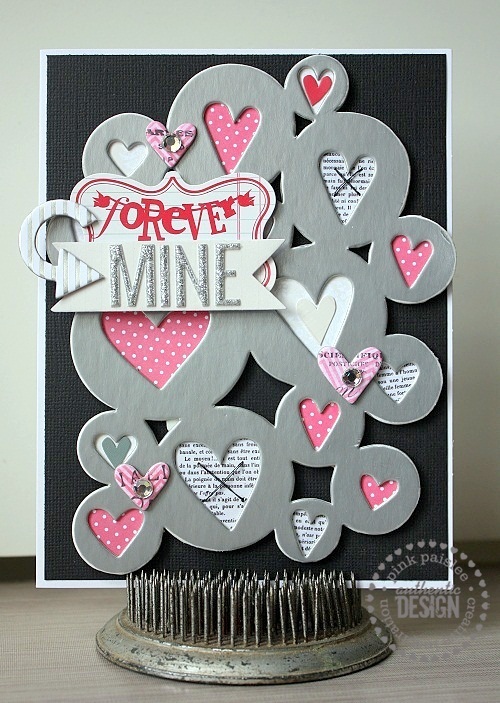 Layer with even more hearts and stickers if you like! 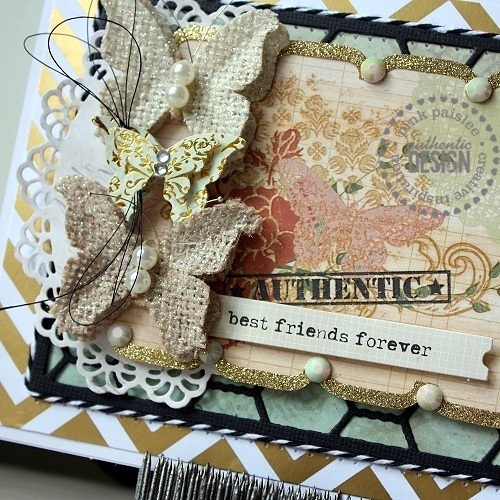 I'll be back shortly as we get geared up for today's Paper Haus Blog Hop! These are beautiful cards! so so pretty!